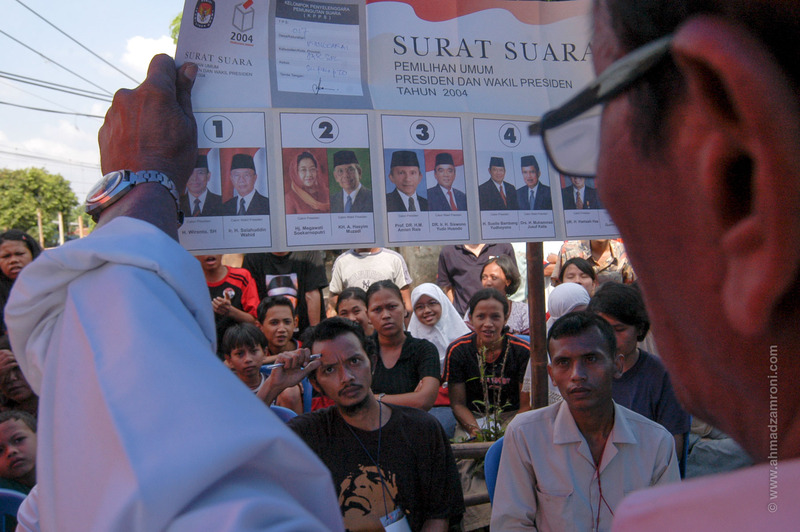 The 2004 elections in Indonesia were incredibly complex, resulted in reshaped representative institutions, and allowed presidential elections by direct vote for the first time. 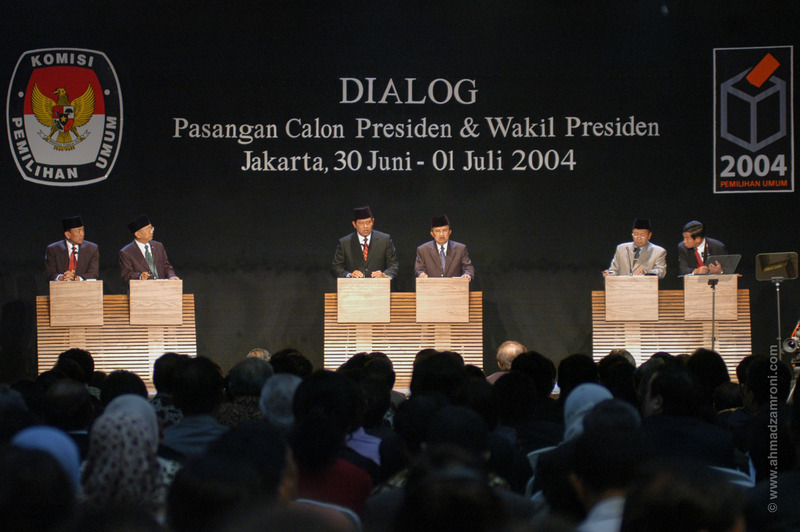 This Indonesia’s first direct presidential election was held in two rounds on July 5 and September 20, 2004. 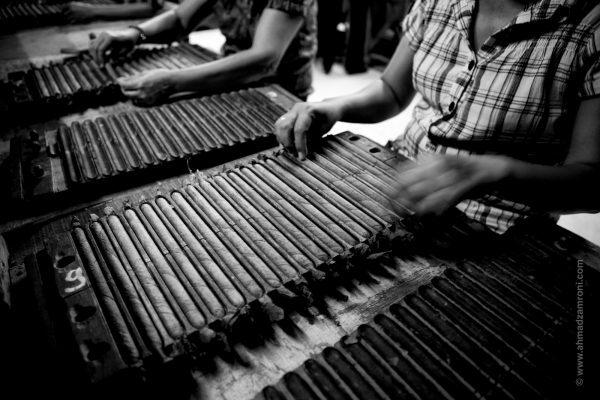 Prior to a 2002 amendment to the Constitution of Indonesia, the President and Vice President were elected by the country’s top legislative body, the People’s Consultative Assembly. 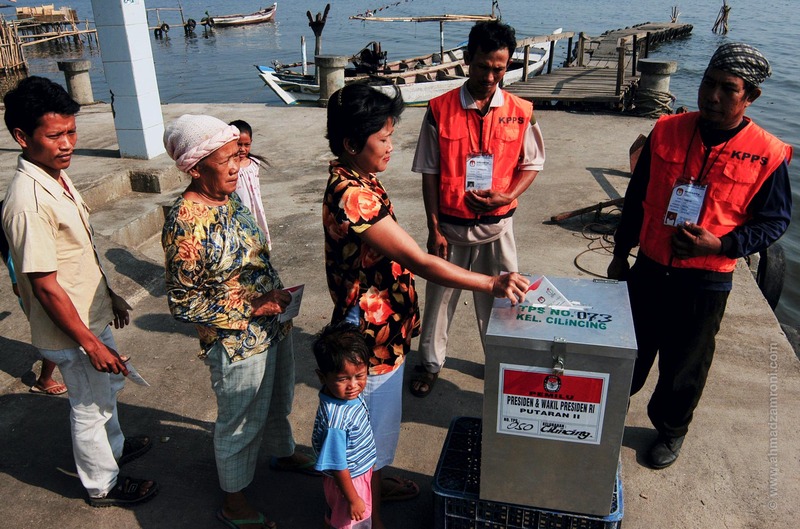 Under the new amendment, a candidate pair is elected into office after receiving more than 50 percent of the vote nationally with at least 20 percent of the vote in more than half of the provinces of Indonesia. 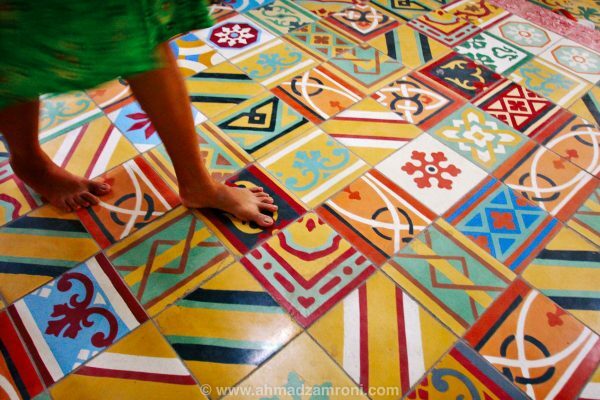 If no pair receives the number of votes required, the election will continue into the second round with the pairs receiving the highest and second highest number of votes. Further regulations set by the General Election Commission state that each pair must be nominated by a political party or coalition of parties which received at least five percent of the popular vote or three percent of the seats to the People’s Representative Council in the April legislative election. 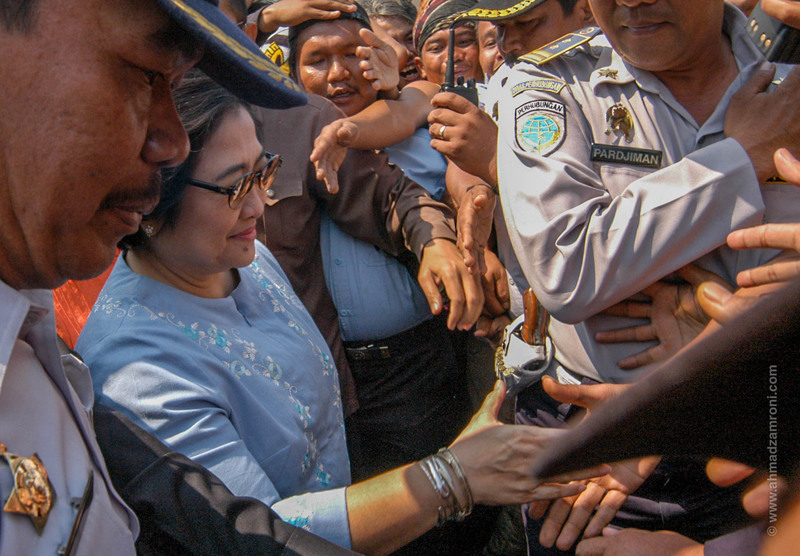 The incumbent President, Megawati Sukarnoputri, was challenged by four candidates, Amien Rais, Wiranto, Susilo Bambang Yudhoyono and incumbent Vice President Hamzah Haz. 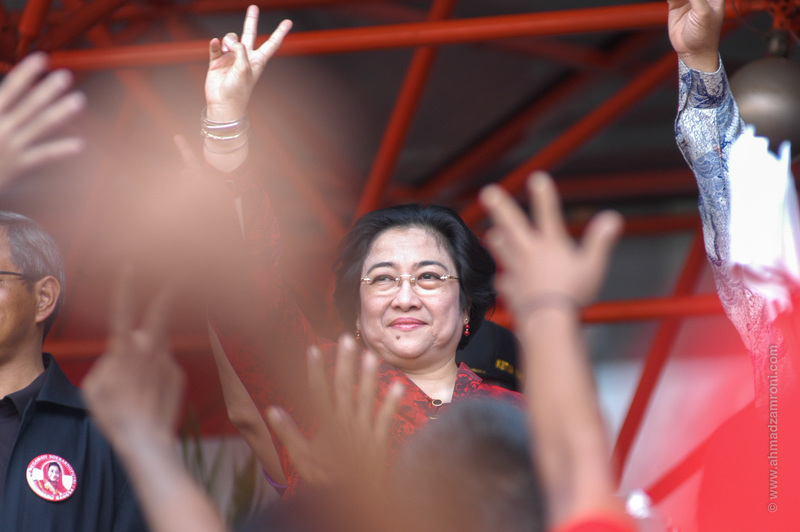 In the first round, former cabinet member and retired General Susilo Bambang Yudhoyono received a plurality of the valid ballots submitted, followed by Megawati. 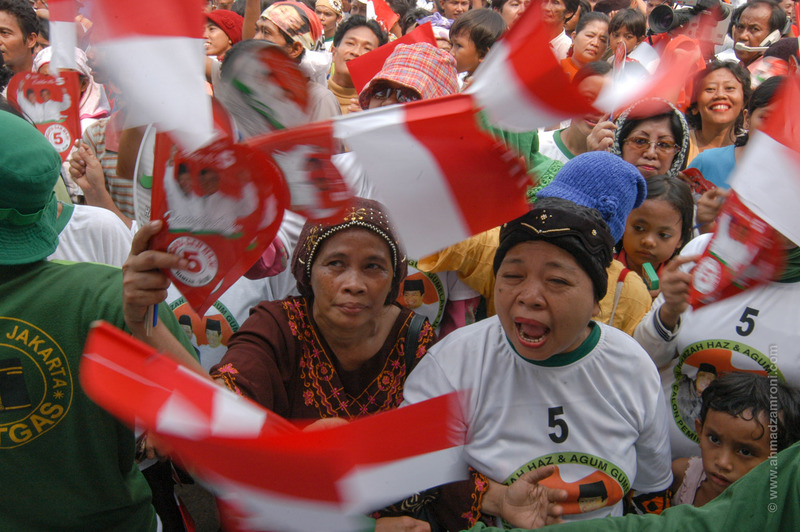 Yudhoyono eventually defeated Megawati with 60.62 percent of the valid ballots in the second round. 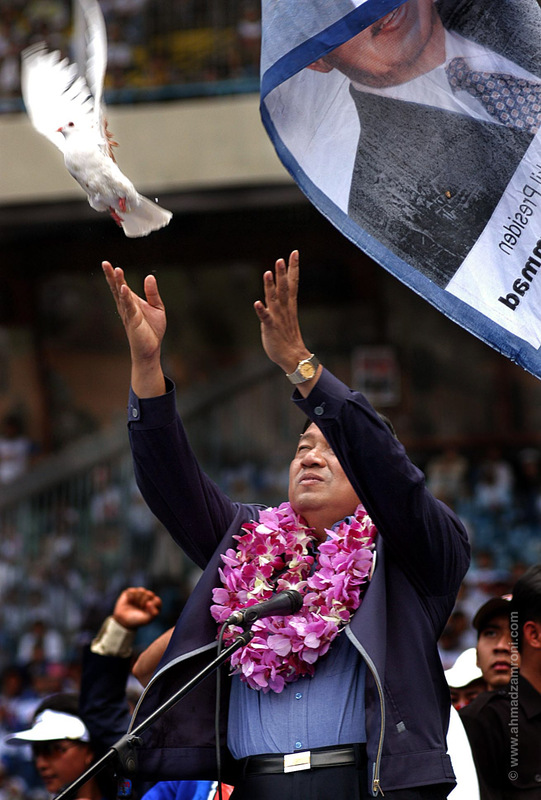 He was inaugurated as the sixth President of Indonesia on 20 October 2004. 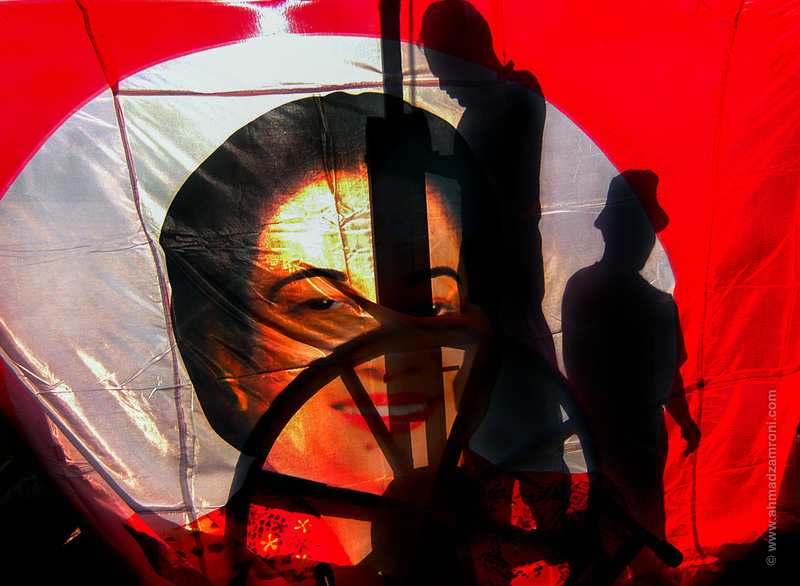 Megawati flag during a campaign. Incumbent Vice President Hamzah Haz was the presidential nominee of the PPP. He was joined by Minister of Transportation Agum Gumelar for vice presidential candidate. 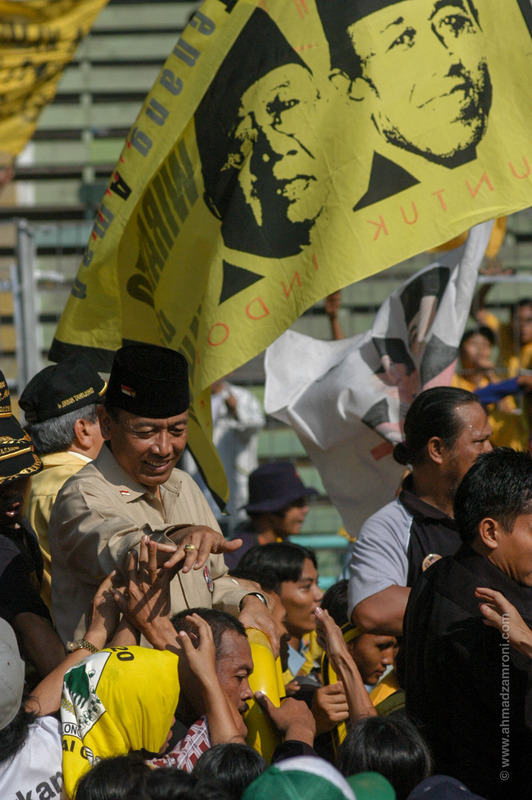 Golkar had won the April legislative election after losing to the PDI–P five years prior. 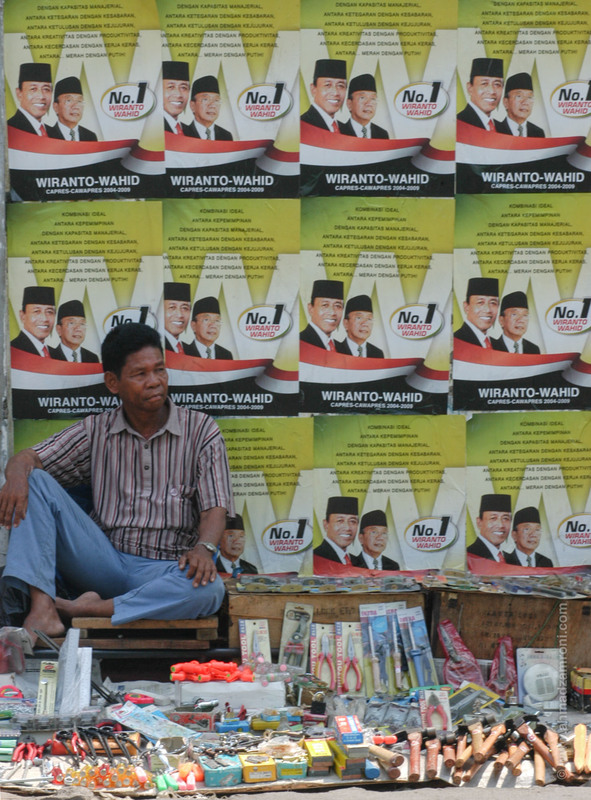 The party nominated retired General Wiranto for president. The PAN nominated Amien Rais, chairman of the MPR, as its presidential candidate. Amien Rais had once served as the chairman of Muhammadiyah. The Democratic Party, supported by the Indonesian Justice and Unity Party (PKPI) and Crescent Star Party (PBB), nominated retired General Susilo Bambang Yudhoyono for its presidential candidate. 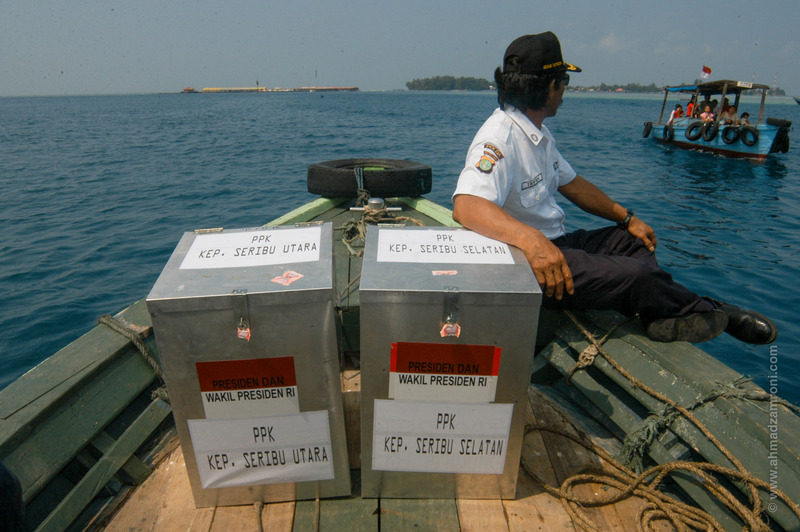 Ballots box from Kepulauan Seribu, Jakarta.